In 1907, Aharon and Breine Bernzweig moved with their six children from Stanislaw, Poland to New York City. They lived in Manhattan, Jersey City, and Boro Park in Brooklyn. Aharon Bernzweig had several businesses during this period and accumulated a modest capital. In 1927 they moved to Tel Aviv at 16 Rechov Bialik. He invested his capital in mortgage and construction loans, especially in Bnei Brak which was then developing. 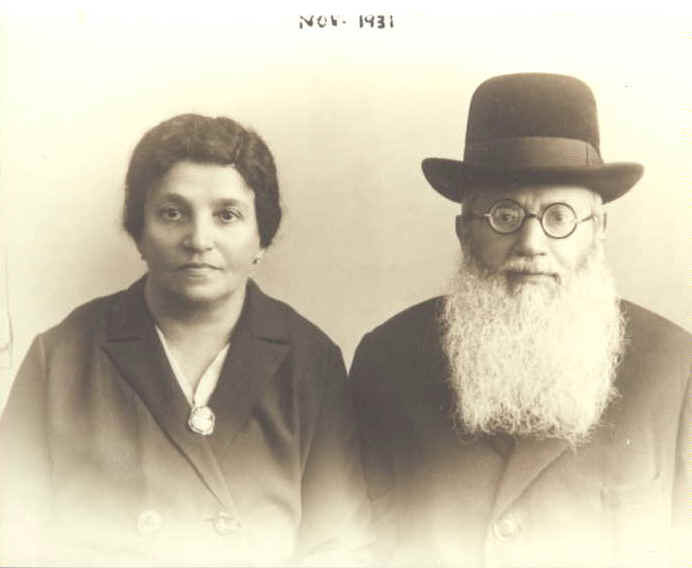 In 1929, Aharon and Breine traveled to Jersey City for the Bar Mitzvah of their grandson Abraham, brother of Meyer Greenberg. Upon their return to Eretz Yisrael, they decided to escape the summer heat of Tel Aviv by vacationing in Hebron, in the mountains. They arrived in Hebron several days before the Hebron massacre was to take place. After their rescue, Aharon and Breine returned to Tel Aviv. Aharon Bernzweig wrote this letter shortly thereafter on September 2, 1929 (27 Av 5689) and sent it to his children in the United States. He died of heart failure in 1936. Breine Bernzweig continued to live at 16 Bialik Street until her death in 1945. In 1937-1938 she was frequently visited by her grandson Meyer Greenberg who was then studying at Hebrew University. Both Aharon and Breine Bernzweig are buried on the Mount of Olives. In June 1967, after the reunification of Jerusalem, Meyer Greenberg visited the Mount of Olives, where he located and restored their vandalized gravesites.